It is tough coming up with different Valentines Day heart shaped cookie options. While browsing our grocery store recently I saw a heart shaped cookie that had three different colors in it. . I thought I will try and make this at home. It can’t be that hard to make three colored cookies, we made these rainbow cookies before. 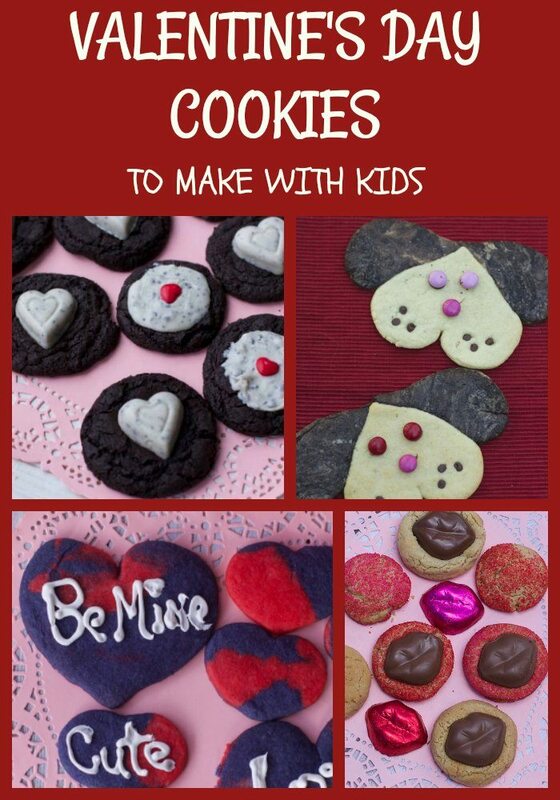 We have also included 5 Valentines Day Cookies To Make with Kids! We made these cookies 6 years ago so I apologize for the bad photos. Simply use your favorite sugar cookie dough recipe. I use the Betty-Crocker packaged mix most often when I am just playing around with sugar cookie recipes. 1. Divide the dough into 3 bowls. Color the dough with food coloring using 3 different colors. I kept one plain simply for contrast of the three colors. Roll the your chosen inside/middle color into a log. Roll out the 2nd color into a square the same length as your roll and then roll it around your first color. Repeat with the 3rd color and seal the ends by pinching the dough. 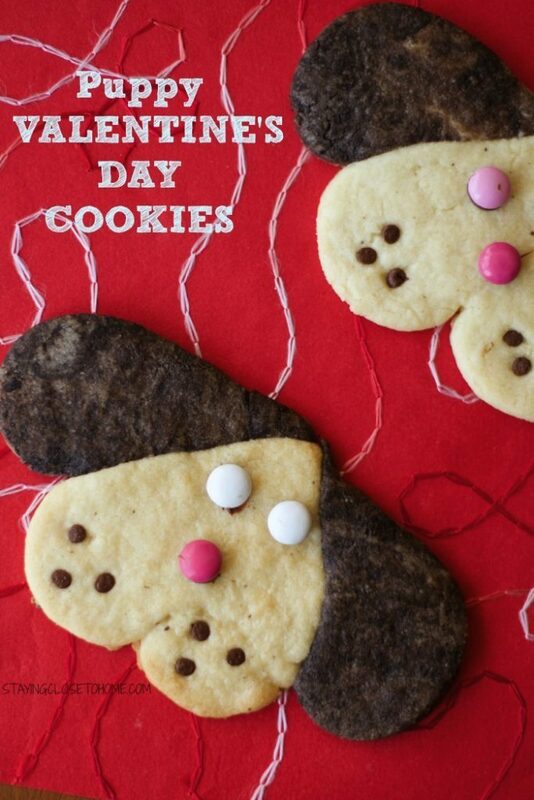 This is not a good photo, buy you should get the idea of how to make these Heart Shaped Valentines Day Cookies. Make an indentation into the dough along one entire side creating a heart shaped log. Put your log in the fridge for at least one hour. Cut into 1/4 -1/2 inch slices. For best results use a serrated knife. Lay onto cookie sheet and follow baking directions of the recipe. Here they are, Heart Valentines Cookies that are simple but fun. While they are not perfect hearts in the middle of the cookies, I think you get the basic idea. 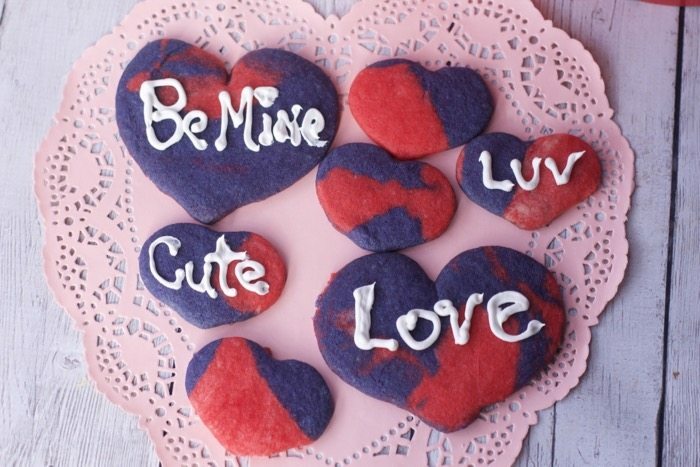 Check out other Valentine’s Day Cookies we have made. 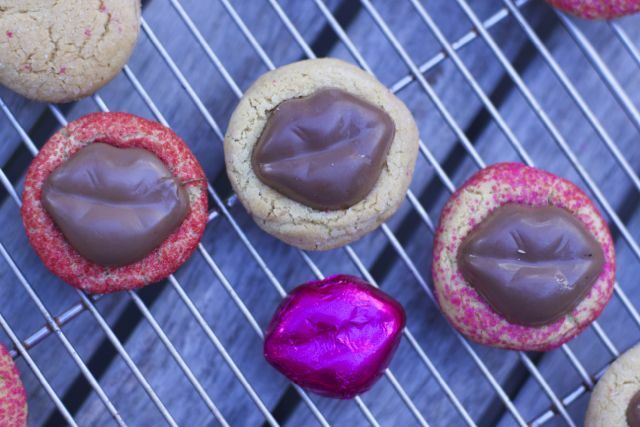 These heart cookies will remind your kids of play dough. 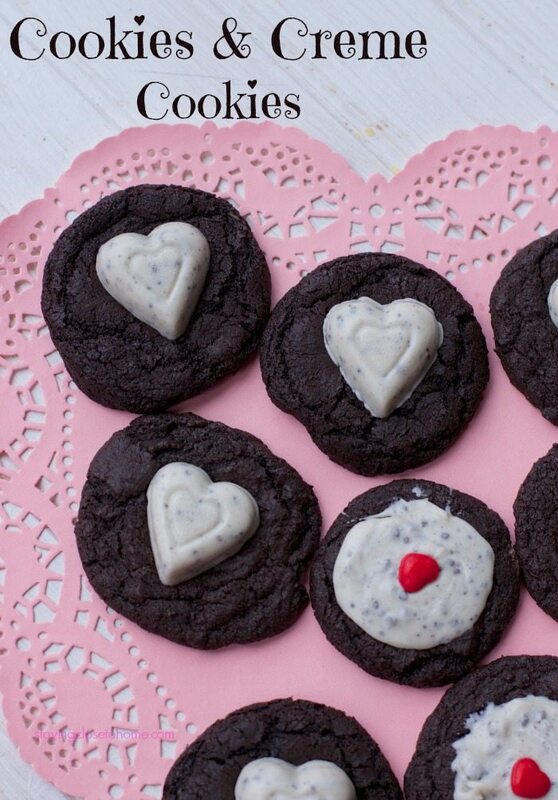 Of course they can eat these Valentines Day cookies! The kids can roll these chocolate cookie balls, help unwrap the cookies and cream chocolates and press them into the coookies before they cool. Kids can roll the dough and add the Kiss when the cookies come out of the oven. A fun way to show kids different things you can make using heart shapes. Such a cute idea! I’m following from the blog hop…would love you to stop by my blog & follow along too! I love these! What a very cute idea. I must try these with my daughter! Thanks for sharing. These are so cute! I’m thinking about trying to make these myself.